Unleashing the potential in every person because it's time to thrive. 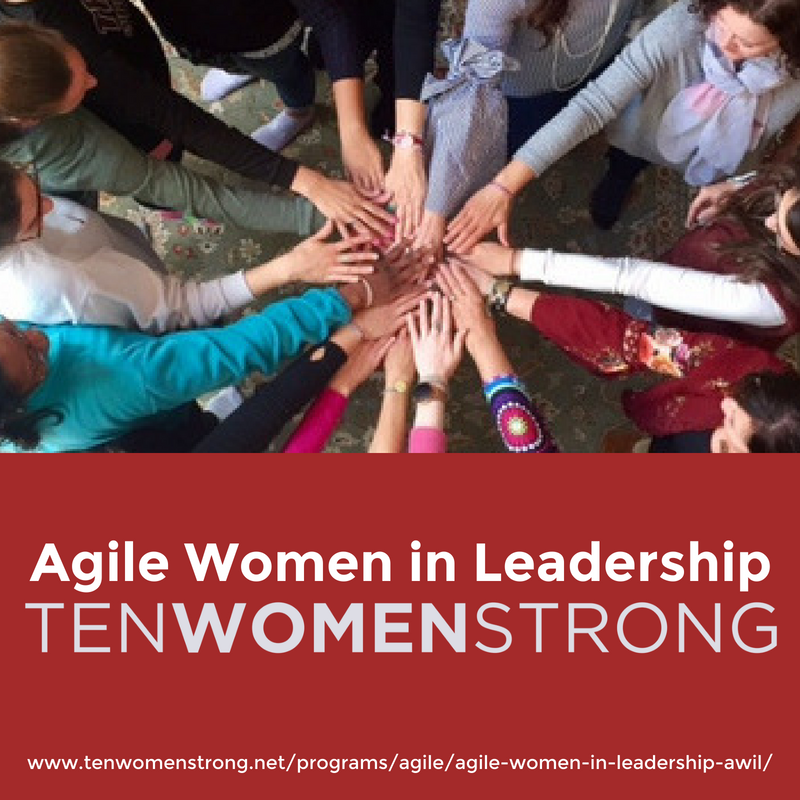 TENWOMENSTRONG is important because I think it’s high time that feminine energy takes its place in leadership in the Agile world (and in THE world). I am dedicating my attention in 2019 to championing #WomeninAgile because I see so many smart, talented, articulate women in the Agile community and I don’t see as many leading. The world is missing out...and needs us. Ladies, please join us for TENWOMENSTRONG programs in 2019. Deborah Preuss and I brought them into the Agile world just for you. It's time for people to thrive. It's time for relationships to thrive. It's time for business to thrive. We find ourselves in an era of confounding complexity and incredible opportunity. And people power it all. That's the crossroads where I work and play. I believe that thriving is possible, but it's not certain. Let me help you, your people and your business thrive. I am a thought leader in the Agile Coaching space and an avid facilitator and systems coach of top leadership teams and Boards of Directors. ...if you have been using Agile for a while but it just doesn't seem to be all you hoped for. Let me help you connect to the vision of why Agile was brought in at the beginning. Then, we can discover what's missing and what to do about it. ...if you know that people's relationships are not resilient or creative enough to handle the challenges they face. Let me help you by facilitating common-sense interventions that build their interrelationship capabilities while they get work done. ...if your organization is not producing the results you know are possible. Let me help you look in new places to find out what it is truly happening, and what is trying to happen. Whether it's coaching one-on-one with a transformation leader, performance coaching a top leadership team or facilitating an intervention for dozens, I partner with the future. I see the magnificence in my clients, both individually and collectively, and I hold them bigger than they hold themselves. I don't collude with their self-limiting beliefs or rationalizations. As a consequence, my clients go far beyond where they think they can go, and beyond what they think is possible for their organization. I co-lead Agile Coaching Institute's complete Agile Coaching curriculum, from in-person classes to the 10-month competency-based certification program. The measurable skill Agile Coaches gain from this curriculum dramatically increases their impact and helps their teams and organizations live into the promise of Agile. I also mentor new generations of Agile Coaching Institute co-leaders as they take the journey toward the front of the ACI classroom. For me to serve you I first have to serve myself. I am constantly improving my skills and increasing my leadership range so that I can offer more spot-on options as we work together. I am deeply trained in multiple professional coaching schools and am certified in Organization and Relationship Systems Coaching (ORSC). I have just completed an intense 9-month certification program in Integral Facilitation which has already drastically improved my ability to facilitate conversations when they get hot (or cold and stuck).